This is a top versus bottom clash in Group B and going by what we have already witnessed in the Euroleague this season, you would have to say that the home fans in Istanbul will be going home happy on Thursday night. However, Zagreb will desperate to get off the mark this campaign. 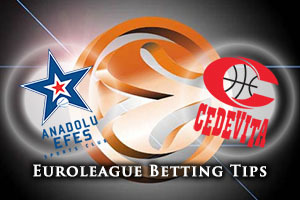 With an average of 89 points per game in their opening two matches, and up against an opposition that has been struggling so far, you have to think that Anadolu Efes will be confident going into this game. Thomas Huertel has been in sparkling form so far this season and he is the current league leader for assists. Other players may have grabbed the glory by putting the ball into the basket but it is Huertel who has been pulling the strings for the Istanbul side and you can expect him to be a key figure again on Thursday night. In contrast to the free flowing scoring form of Efes so far this campaign, Zagreb have clocked up an average of 70.5 in their two games. This is almost 20 points less than Efes, which is a worrying statistic after just two games. However, Zagreb need to improve at both ends of the court and it may be that Birkan Batuk and Cedi Osman will both have roles to play in this game for the away team. The team needs to bounce back from a disappointing home loss against Limoges and while this will be a difficult place to visit, a win would kickstart the Zagreb campaign. 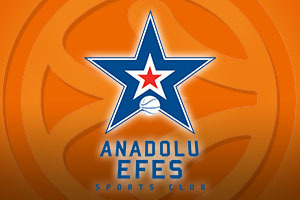 The bookies fairly back the home team and you can back Anadolu Efes Istanbul with a -15.0 handicap at odds of 1.90. For the Over/Under market, you should look to go OVER 153.5, which is also available at odds of 1.90. There are no certainties in basketball betting but the home team should have enough in their locker to run out convincing winners. Bet Now!